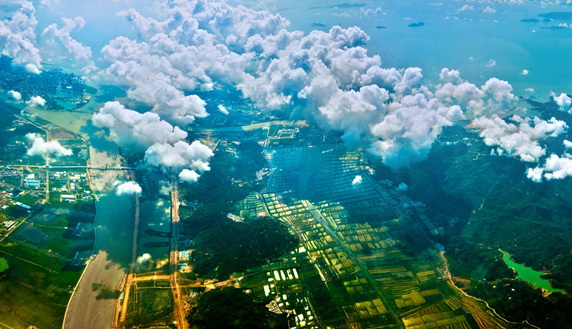 Situated in the south of Zhuhai in Guangdong Province, the Hengqin FTZ (Free Trade Zone) is only 34 nautical miles from Hong Kong with proximity to Macao being merely 187 m. Covering 28 sq km, the FTZ plans a land reclamation project to double in land mass by 2020. 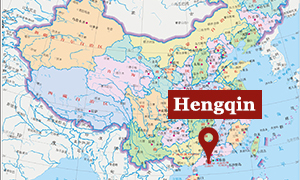 In addition to financial and hi-tech industries, Hengqin is becoming a cultural and educational pilot zone and an international business, service, recreational and travel base. The FTZ also is a recent advocate that is promoting Macao's moderate economic diversification via non-gaming elements and strengthened regional cooperation. Implementing line-division management so as to expedite “first-line” customs inspection, strictly control “second-line” examinations, separate people from goods, and to conduct classified administration. Taking the national lead in launching business registration reform. Taking the national lead in formulating an executive pattern encompassing decision-making, and administrative and consultation committees. Becoming the nationwide first to publicize illegal business practices of main market players (industrial and commercial) in detailed accounts. Businesses can quickly search online to see what these practices are defined as. Launching the pilot franchise business of individual domestic-foreign currency conversion with the first-issued multi-currency UnionPay IC cards. Issuing Hengqin New Area Integrity Island Promotion Measures to formulate a comprehensive regulatory system in commodity source tracking, supervision, law enforcement, penalties, compensation in advance, and in other matters. Clients can choose Hong Kong in written agreement as a venue for arbitration should disputes arise involving property rights. Xi Jinping, who at the time was China’s vice president, came to Macao in January 2009 to announce that the Central Government had decided to commence the official development of Hengqin Island. 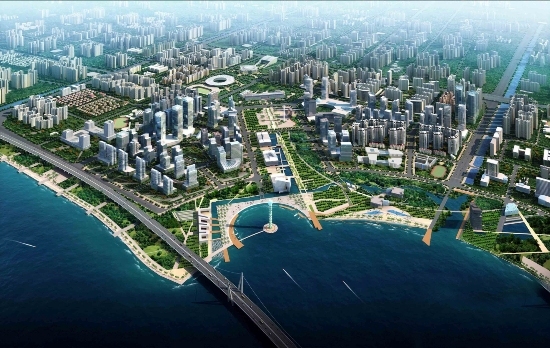 Consequently, the State Council issued The Hengqin Overall Development Plan that August. Complying with the government’s requirements for “high standard, high quality and high speed” and aspiring toward “a solid foundation for long-lasting infrastructure,” Hengqin is creating an integrated transport network centering on public transit. Meanwhile, to ensure water and energy conservation and a green city, resources have been assigned to establish an innovation-based, low-carbon and energy-efficient modern public utilities system. Hengqin Island has the longest utility tunnels (up to 33.4 km) accounting for the largest one-time investment on the Chinese mainland. All electrical wires and cables, water and gas lines, waste discharge, air conditioning and heating conduits, fiber communication and pipe network maintenance accesses are underground. Located in the port area abutting the University of Macao in the north, the 21-hectare Hengqin Port Comprehensive Transport Hub will be a landmark urban complex combining checkpoint customs services, urban integrated transport and support business facilities. The Macao Light Rapid Transit and Guangzhou-Zhuhai Intercity MRT will intersect here. Across the Maliuzhou Waterway, which runs north to south along the Wanzai, Hengqin and Gongbei checkpoints, and facing Macao toward the east, this 5.77-sq-km area of the central business district is designated for finance, conventions and exhibitions, along with business and trade. Encompassing 80,000 sq m, the project includes a 490 m (1,608 ft) main tower and three to four 150 m support buildings. It is designed to become a landmark in the Hong Kong, Zhuhai and Macao environs. Featuring global recreational holidaymaking, tourism and entertainment, this world-class integrated tourist resort is replete with theme parks and deluxe hotels. 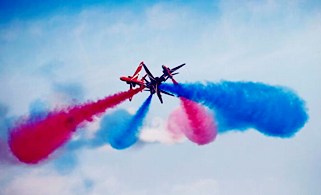 Ongoing are business conventions and exhibitions, shopping, sports, and recreational activities. Ocean Kingdom has already set five Guinness records. 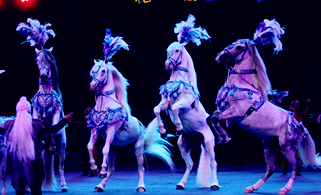 More than 5 million visitors have been registered to date at the Ocean Kingdom Theme Park, Hengqin Bay Hotel and International Circus Stadium. Constructed by Macao Lai Ying Investment Ltd, the 30,000 sq m government-guided, Macao SMEs-invested square is opposite Hengqin Checkpoint. This square features a large shopping mall, retail, catering, theater and other facilities, and provides a venture platform for Macao’s SMEs. Jointly developed by the governments of Guangdong Province and the Macao Special Administrative Region, this industrial park is the first real estate project to implement the Framework Agreement on Cooperation Between Guangdong & Macao. An innovated cooperation pattern of the two areas, the project is now becoming a major international health technology industrial cluster and a personalized health maintenance resort focusing on TCM competitive industry, TCM health services and TCM cultural industry. In addition to GMTCM Park, Hengqin has reserved 4.5 sq km of land for Guangdong-Macao Cooperation Industrial Park to develop TCM, cultural and creative, education, training and other industries. Seven out of 33 projects recommended by the Macao SAR government have settled in the park. Second-tier regulatory inspection facilities connecting Hengqin Island and Zhuhai -- the first of the kind in China -- came into operation on June 28, 2014. Eleven Measures of Hengqin New Area on Supporting Macao’s Moderate Diversified Economic Development have been issued in favor of Macao investment. These measures concern land acquisition, industrial construction and infrastructure, and Macao businesses and employees access to public resources such as talent apartments. Macao residents working in Hengqin New Area also benefit from individual income tax deficiency payments. Multi-currency UnionPay IC card issued for the first time allows for the rapid settlement of cross-border payments. Settlement has been implemented of foreign exchange capital by foreign-funded enterprises in Hengqin New Area. Insurance agencies in Hengqin, Guangdong and Macao have associated to provide mutual cross-border motor vehicle insurance. Hengqin financial institutions have joined the Macao Pass contactless smartcard payment system, the first of its kind in the Chinese mainland.